Don’t be fooled by Reveal 402’s compact size. Decades of experience in loudspeaker design and tweaking is the foundation for creating Reveal 402. The result is a massive soundscape generated by the super-efficient 4” woofer and ultra-precise ¾” tweeter. Custom tweaked by Tannoy’s in-house speaker guru, Dr. Paul Mills, the active cross-over filters of Reveal 402 have absolutely impeccable timing. If you’re anything like us, you’re not only working on mixes but also listening to your favorite music! Reveal 402 gives you the ultimate pathway for both. 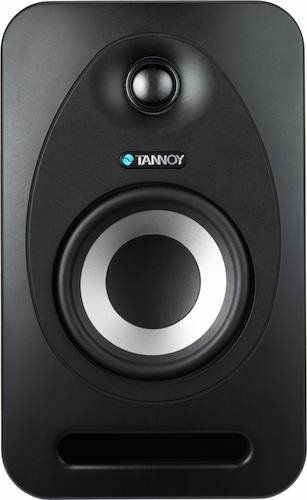 Making Monitors for Musicians is part of Tannoy’s DNA and that’s why musicians worldwide have timelessly turned to Tannoy when it comes to monitoring their music.